An act passed in 1850 by the United States Congress created Utah Territory and territorial government. Within the territorial government, a governor was given executive power. In 1896, when Utah became a state, the governor again held executive power. The governor is the leader of the state ensuring the legal execution of all laws. The executive power of the state is vested in the governor making him the chief administrative officer. It is his responsibility to ensure that laws are "faithfully executed." The governor is the Commander-in-Chief of the state military forces and a member of various commissions and boards. He has many duties as stated in the Constitution and by statute, including acting on legislation, appointing certain officials, and overseeing the affairs of the state. Some functional changes have occurred in the Governor's Office since the organization of the territory. The United States president appointed the territorial governors. The first governor of the territory was the only governor to serve simultaneously as Superintendent of Indian Affairs because thereafter the law no longer required the governor to serve as both. The territorial governors had absolute veto power: the ability to veto any legislation with no recourse by the legislature. The state governors do not have this same ability. Every piece of legislation passed by both legislative bodies is sent to the governor. He can sign the bills into law, let it sit, or veto it. If the governor vetoes a bill, it is returned with his objections to the body which originated it . After reconsideration, if both bodies pass the legislation by two-thirds majority, it becomes law. The governor has ten days, excluding the day it is given to him and Sundays, to respond to the legislation (five days from 1896 to 1979). If the governor does not take action, the bill becomes law unless there is less than ten days to adjournment of the legislative session. The governor then has twenty days after adjournment to file the objection with the proper officers as provided by law, or again the legislation becomes law without the signature of the governor. The governor has the ability to disapprove of specific items of an appropriation contained in bills while approving the other portions of the bill. The governor then attaches his objections to the bill at the time of signature. The attachment must explain the governor's objection to the specific items. These items will not take effect unless passed by two-thirds majority of both houses. The governor transacts "all executive business with the officers of the government, civil and military." The governor has the authority to appoint a committee, when the legislature is not in session, to investigate any executive office or state institution. He may also call a special session of the legislature by proclamation. He is required to state the purpose of the session in the proclamation. The governor is responsible for communicating the "state of state," and suggesting needed legislation by message at every regular session of the legislature. He also prepares a yearly budget to present to the legislature. When a state or district office becomes vacant and a mode for filling the office is not provided for in the Constitution or by law, the governor has the power to make the appointment until the next election. He also has the capacity to nominate and appoint with the consent of the Senate, "all State and district officers whose offices are established by the Constitution, or created by law and appointment or election is not otherwise provided for." Although the governor serves on many boards and commissions, the Board of Examiners is the only one the Constitution requires the governor serve on. The 1896 Constitution required the governor to serve on the Board of Pardons, the Board of State Prison Commissioners, the Board of Examiners, the Board of Insane Asylum Commissioners, and the Board of Reform School Commissioners. In 1979, Senate Joint Resolution 7 passed the legislature and in 1980, passed in general election and removed the Board of State Prison Commissioners, the Board of Insane Asylum Commissioners, and the Board of Reform School Commissioners from the governor's duties as stated in the Constitution. In 1992, Senate Joint Resolution 8 passed the legislature and the Board of Pardons changed to the Board of Pardon and Parole. The governor was no longer a member, but appointed them. The Constitution provides the power for the governor to grant "respites or reprieves in all cases of conviction against the state, except treason or conviction of impeachment." The Board of Pardons and Parole then reviews the respite or reprieve and may commute the punishment or pardon the sentence. In cases of treason the governor may suspend execution until the next legislative session. The legislature then will hear the case and may grant a pardon, commute the sentence, or direct the execution. 1. He shall supervise the official conduct of all executive and ministerial officers. 2. He shall see that all offices are filled and the duties thereof performed, or in default thereof, apply such remedy as the law allows, and, if the remedy is imperfect, acquaint the Legislature therewith at its next session. 3. He shall make appointments and fill vacancies as required by law. 4. He is the sole official organ of communication between the government of this state and the government of any other state and of the United States. 5. Whenever any suit or legal proceeding is pending against this state, or which may affect the title of this state to any property, or which may result in any claim against the state, he may direct the attorney general to appear on behalf of the state, and may employ such additional counsel as he may judge expedient. 6. He may require the attorney general or the county attorney or district attorney of any county to inquire into the affairs or management of any corporation doing business in this state. 7. He may require the attorney general to aid any county attorney or district attorney in the discharge of his duties. 8. He may offer rewards, not exceeding $1,000 each, payable out of the general fund, for the apprehension of any convict who has escaped from the state prison, or any person who has committed, or is charged with the commission of, a felony. 9. He must perform such duties respecting fugitives from justice as are prescribed by law. 10. He must issue and transmit each election proclamation as prescribed by law. 11. He must issue land warrants and patents as prescribed by law. 12. He must, prior to each regular meeting of the Legislature, deliver to the Division of Archives for publication all biennial reports of officers, commissions, and boards for the two preceding years. 13. He may require any officers, commission, or board to make special reports to him in writing. 14. He must discharge the duties of a member of all boards of which he is or may be made a member by the constitution or by law. 15. He shall each year issue a proclamation recommending the observance of Arbor Day, by the planting of trees, shrubs, and vines, in the promotion of forest growth and culture, and in the adornment of public and private grounds, places and ways, and in such other efforts and undertakings as shall be in harmony with the general character of such holiday. 16. He has such other powers and must perform such other duties as are devolved upon him by law. The United States president appointed the territorial governor. Utah residency was not required before the appointment although, the governors were required to live within the territory during their terms. Territorial governors served for four years unless they chose to leave office or were removed by the president of the United States. After statehood, the qualified voters of Utah elected the governor, who had to be thirty years of age and a resident of Utah for at least five years preceding his election. The length of term remains four years and there is no limit to the number of terms an individual can serve. An act to establish a territorial government for Utah passed on September 9, 1850, provided for the office of governor, the executive power of the territory. When Utah became a state in 1896, the executive branch changed moderately. The executive branch embodied not only the governor but the secretary of state, the state auditor, the state treasurer, the attorney-general, and the superintendent of public instruction. The secretary of state became the lieutenant governor in 1980. The lieutenant governor is the second highest official of the state and runs on the same ticket as the governor. The lieutenant governor is next in command of the executive branch in case of death, removal, resignation or disability of the governor. The state auditor is the auditor of public accounts. The state treasurer is the custodian of public monies. The attorney-general is the legal provider for state officers. The superintendent of public instruction supervises the public school system and is no longer part of the executive department. Currently the organization of the Governor's Office consists of the governor, lieutenant governor, first lady, and chief of staff, but the organization of the office can change with each governor. The office has grown since the first territorial governor. The office consists of positions needed to handle the responsibilities that come with the governorship. Senate Joint Resolution 8 passed in 1993, gave the governor the ability to appoint legal counsel to advise the governor. Law in 1963, created the Governor's Office of Planning and Budget which aids in budgeting, planning, and providing accurate and timely data, impartial analyses, and objective recommendations. The Utah Commission on Criminal and Juvenile Justice created in 1983 serves as a coordinating body for agencies that are a part of the criminal justice system in Utah. Election specialists, administrative assistants, and mansion housekeeping, are just a few of the staff members in the Governor's Office. The governor also has various commissions, boards, and programs within the office, e.g., Board of Examiners, Executive Residence Commission, Governor's Commission for Women and Families, and Utah's Promise. This is only a selection of the commissions within the Governor's Office. Some commissions continue through multiple governorships and others last through only one. Legislature. 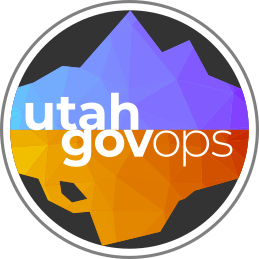 Utah Code Annotated, (Series 83238). Office of the Governor. Employee chart. The Governor's homepage, May 2001. The Utah Commission on Criminal and Juvenile Justice homepage, May 2001. The Governor's Office of Planning and Budget hompage, May 2001.